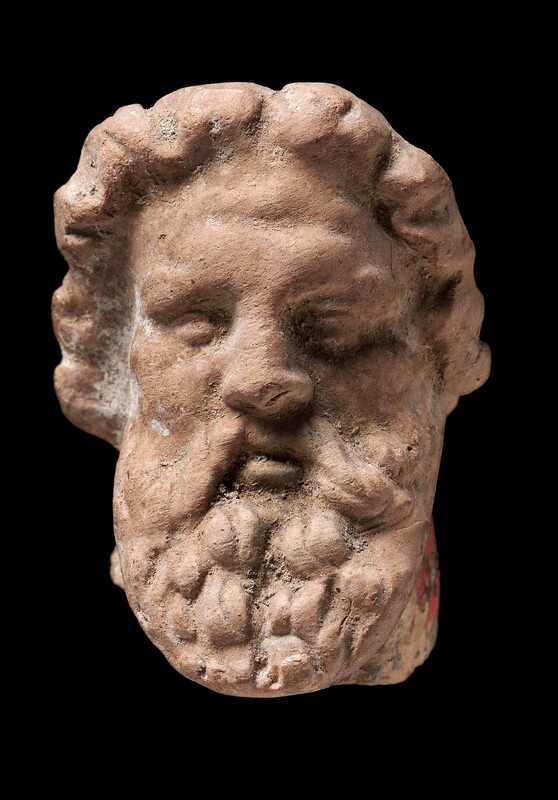 Bearded head of Asklepios (?). Hair parted at middle of forehead; beard and short, wavy locks; modeled in two parts. No slip in colors.